[New York, NY – November 01, 2018] – KoreConX is proud to announce SME Brokers will now be integrated into the company’s KorePartners ecosystem. SME Brokers are part of an international group of business advisers currently servicing in excess of 60,000 small to medium-sized enterprises globally. SME Brokers have access to leading-edge management and development programs that are backed by technology solutions designed to improve business performance from startup phase all the way to exit phase. SME Brokers will now be exclusively using the KoreToken protocol in conjunction with the all-in-one KoreConX platform. SME Brokers achieve best practice methods for its clients through a unique practical methodology developed over many years, working and interacting with businesses around the world. “We always strive to provide the best solutions to our clients. We can rest assured knowing that KoreConX developed a security token protocol and an all-in-one platform that is mainly focused on compliance and follows the regulations in multiple jurisdictions,” said Michel Aliphon, managing director at SME Brokers. 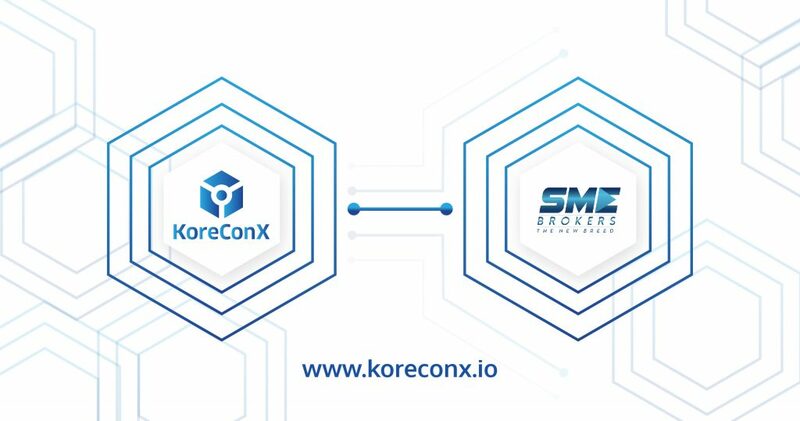 SME Brokers will become part of the KorePartner ecosystem, a group of selected broker-dealers, secondary market platforms, capital markets platforms, lawyers, compliance, investor relations, accounting, and marketing firms that support the KoreConX security token protocol and adhere to KoreConX governance standards. KoreConX’s KorePartners are from around the globe and bring the necessary expertise that a company will need to launch a fully compliant security token in multiple jurisdictions.